Kolkata, the then capital of India boasts of the beautiful Victoria memorial, India’s first Underground Metro & Howrah Bridge. Kolkata is also the home of notable people like Rabindranath Tagore, Satyajit Ray and Saurav Ganguly. Despite its rich culture, the City of Joy had a lukewarm economic development when compared to the fellow metropolitan cities. So, I’m going to share you the 3 things to do in Kolkata if you are in Kolkata for 1 day to make your trip fun and memorable. 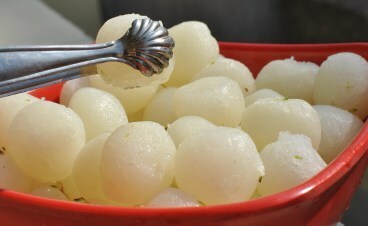 However, Return Flight fares costs around Rs 6,000 to 8,000 when booked one month in advance. Visit these famous tourist spots: Indian Museum, The Victoria Memorial and St Paul’s Cathedral. 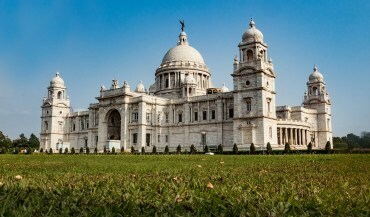 Kolkata is also a home of magnificent buildings built under British supervision. The Indian Museum, Victoria Memorial, St.Paul’s Cathedral, Kolkata High Court are the fine examples of British’s initiative towards developing their capital city. These architectures will not only give you a glimpse of British rule in India but also serves as an ideal Photography destination for passionate photographers. 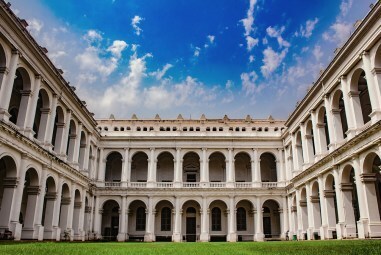 Don’t forget to learn the basics of photography before visiting Kolkata and take better photos of these buildings. If you are a cricket fan, do visit the Eden Gardens, the “Mecca of Indian Cricket”. Victoria Memorial: Built under the memory of Queen Victoria, The longest-serving British ruler. Eden Gardens: The Mecca of Indian Cricket. Tiretta Bazaar – India’s only Chinatown. Patauli Lake – Bangkok’s answer to the floating market. Explore the above tourist spots on public transport. Kolkata not only has some good public transport system, but their beautiful and nostalgic vehicles will make you drop the idea of exploring the city by tourist vehicles. 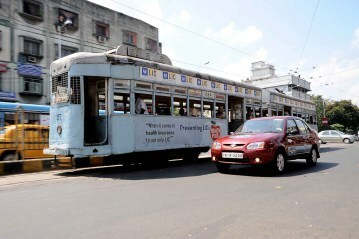 Kolkata Tram, Underground Metro, Ferries and Blue Minibuses are enough to fill your mind with nostalgia. Do hop into the ferry at Hoogly River to witness the magnificent Howrah Bridge. However, avoid using the Yellow ambassador Taxis as they charge exorbitant prices for short distances. Hope you are inspired to pack your bags to Kolkata! ???? Is there anything you would like to add? Do share it in the comments !